The aptitude for coming up with ideas and brainstorming is called Ideaphoria by Johnson O’Connor and Idea Productivity by The Highlands Ability Battery. This aptitude is measured through a timed writing test. It’s simple: how many words can you write about a certain topic in x amount of minutes? 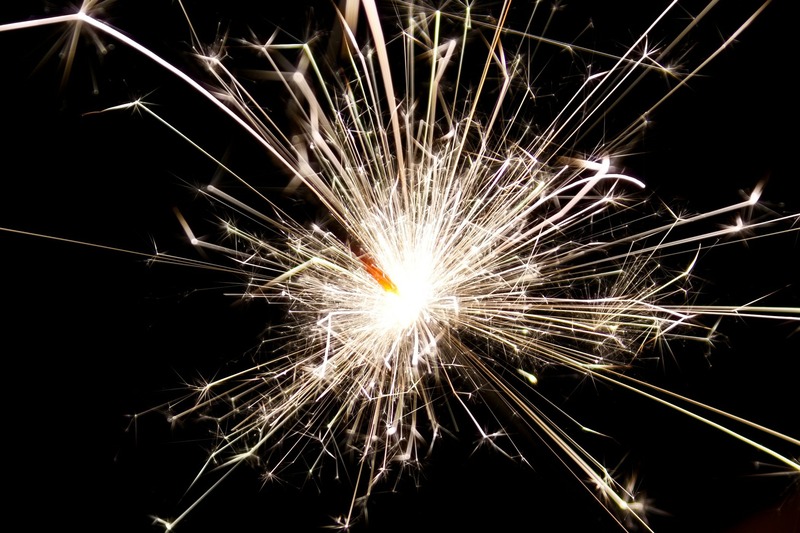 The spark: how quick can you come up with ideas? The test administrator does not grade for quality of content, but rather how many words a person can produce quickly. Writing speed usually does not sway the results much. If you are a person who is able to come up with a lot of ideas, you will be able to write more words than most people. One idea leads easily and seamlessly into another. You may even be able to think of the next sentence while writing the current one. On the other hand, if you are a person who has trouble thinking up new ideas, you will be on the lower end of the scale. Just as with other aptitudes, there are benefits and disadvantages to scoring either high or low. Knowing your score will help you direct your life into areas in which you are sure to be successful. Ideaphoria is a driving ability, so if you have a high score, putting yourself into situations in which you can use it will help you find success and happiness there. A low-ideaphoria person will not do well in these situations. They will struggle to come up with solutions quickly. They will find it taxing to constantly meet deadlines dependent on their thought output. Instead, “the low-ideaphoria person should consider occupations that call for concentration rather than a rapid flow of new ideas, such as some areas of banking, clerical work, and engineering. These jobs demand concentration, an ability to work at complicated tasks without being distracted. Business executives often do not score high in ideaphoria: in many management situations it is more important to carry through existing policies than to dream up countless new projects.” A very high Ideaphoria person will probably find these jobs slow paced, boring, and will soon realize their strengths are not being used. An important thing to remember about the Ideaphoria test is that it does not measure the quality of your ideas. This is something you must work on your own and receive feedback from others about. The quality of your ideas is something you can control (unlike the innate aptitude of Ideaphoria). You can widen your experiences, hone your writing and speaking skills, improve your vocabulary, and work on creative projects. 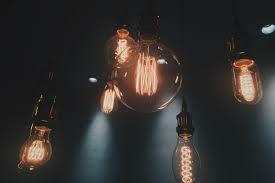 How bright is your Idea Productivity? Find out by taking The Highlands Ability Battery today! If you have low Ideaphoria but are creative, don’t worry! Scoring low in Ideaphoria does not mean you cannot be a writer or creative person. The Career Profiler, a career coach, had a client who had low Ideaphoria but high originality. His originality pressed him to produce something new. His low Ideaphoria actually helped him slow down enough to create the new thing. With low Ideaphoria he was able to stick through his projects until finished. That is a skill many artists wish they had! Do you know how you score in Ideaphoria? The answer is important if you want to find a job that makes you happy. Find out today by taking an aptitude test. We recommend The Highlands Ability Battery. By cross-checking a list of best careers for introverts with the fastest growing jobs, we came up with this list of 9 fastest growing jobs for introverts! In February 2016 PersonalSelf posted a blog listing some of the best careers for introverts. But because it’s important to take more than only one perspective into account (i.e. don’t get a job based only on whether you are introverted or extroverted), we did some research to find which of these introverted jobs were growing quickly. It’s a good idea to research fast-growing jobs because it increases the likelihood that you will get hired in that field. Additionally, the greater the demand, the higher the salary is likely to be. The national average growth rate of a given career is 7%. 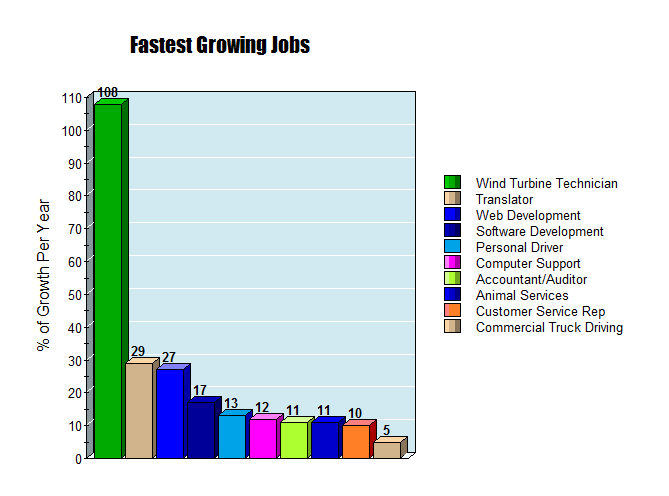 Each job listed here is growing at least three points faster than the average. If one of these careers sounds interesting to you, continue researching by taking an aptitude, interest, or career test. That way you can be sure if one of these jobs will be something you will be good at and enjoy. 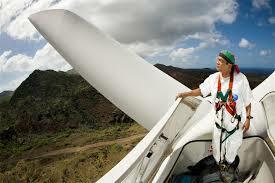 This may come as a surprise to you, but by far the fastest growing job in the US is wind turbine repair. It grows 108% per year! This requires repair and technical skills (and being comfortable with heights) but you will probably be working alone, or with a partner. If you know more than one language, translators often work from home, or work alone. Our quickly globalizing world is moving faster than technology in one area: computers can’t translate as well as humans. Thus, translator positions are growing at 29% a year. Anything tech-related is likely to be growing faster than usual, and almost always means working on your own or in a small team. 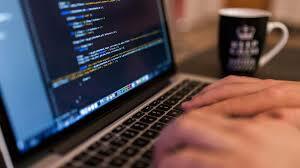 Software and Web Development are growing 17% and 27%, respectively. Another not-often-thought of job is information security. Oftentimes you can protect companies’ information from hackers at home, and it is growing 18% a year. 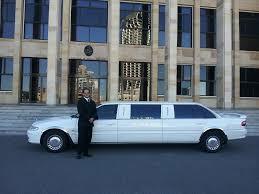 Taxi driving and chauffeurs are growing at 13% a year. Although small talk is sometimes required, if you are a personal driver your client may not want to be disturbed. One reason this is growing quickly is because of the rise of personal driving apps like Lyft and Uber. Knowledge of computers is obviously required for this job, but depending on the company, you may not even have to speak on the phone. 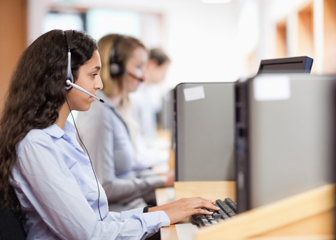 Many computer support companies have text chat rooms in which clients and workers resolve computer issues, rather than talking on the phone. This job is growing at 12%. Tax season can be a good thing for people looking for a job. Furthermore, tax season lasts longer than January to April, since there are various filing dates. 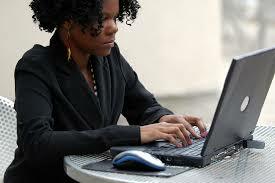 Many firms are very likely to hire seasonally, hire those who work from home, and hire remote accountants. Often a firm will train on the job, and you will be working with people’s taxes, not people themselves. This job is growing at about 11% a year. Growing at 11%, this might be the perfect job for you. There are many different capacities in which animal services are needed, not just at a veterinary clinic. Zoos, animal shelters or pounds, amusement or animal parks, kennels, and private dog walkers or sitters all need someone to feed, groom, bathe, exercise, and train pets and other animals. Many of these jobs can be run out of your home as a small business! Although it involves a good deal of human interaction, it is rarely face-to-face, and could even be through a chat room rather than telephone. It’s growing at 10%. Truck driving currently has a short term demand – probably through the next 10 years or so. This is because truck driving and other blue-collar jobs are having trouble finding new, younger workers. But the demand is only short term because driverless vehicles will become increasingly accepted and may replace human drivers in the next decade. While a long, empty road is often a joy to an introvert, you can also get the best of both worlds by driving shorter routes, which are just as needed as cross-country truckers. Can you see yourself in one of these jobs? Or want to know what else you should take into consideration on your job hunt? Get in touch with a career coach who can guide you through all the information. Whether you are most concerned about being an introvert, working from home, a high salary, or something else, a qualified coach can help you weigh all the choices and find the right job for you. If you are not sure what kind of job you’re looking for, consider getting a career profile; a tool like this is powerful in finding a job that will make you happy and successful. The Auditory Aptitude Isn’t Just for Musicians! The auditory aptitude, or the ability to distinguish pitch, is among the first to develop in humans. In fact, babies in the womb are known to be able to hear and recognize pitch such as music and voices. If you are a parent, maybe you had an experience where your newborn seemed to recognize your voice. But beyond recognizing voices or songs, which most people are able to do, a high score in the auditory aptitudes can equip you for many different kinds of careers, not just as a musician. Perhaps the first measure of auditory aptitudes was developed by Carl E. Seashore – it is called the Seashore Measures of Musical Talent. Seashore was concerned with these five areas of musicality: pitch, loudness, tempo, timbre, and rhythm. A person’s ability to distinguish between varying levels of these areas determines their musical talent, or auditory aptitude. Different aptitude test or career test publishers may test for only a few of these areas. For example, both Johnson O’Connor and The Highlands Ability Battery test for three: distinguishing pitch, rhythm memory, and tonal memory. To be able to understand or work in music, one must be able to remember it; thus, rhythm and tonal memory are just as important as pitch discrimination. These descriptions allude to the fact that auditory aptitudes do not always lead to what we generally think of as musical. For example, rhythm memory is often found in great athletes who are skilled at moving their bodies. Tonal memory is also an important aptitude for linguists and polyglots to have. As we know, it is never a good idea to pursue a career based on only one aptitude. It’s important to know all your aptitudes, interests, and personality in order to find a career that will really fit you. That being said, if you score high in the auditory aptitudes, you may be interested to research the careers that intersect with your other aptitudes. A person high in structural visualization and music aptitudes might consider sound recording, acoustical engineering, electronics, or similar fields that involve the technical aspects of sound. Rhythm memory is an aptitude that is often found in certain doctors, especially those that need to listen to different parts of the body like the heart, lungs, or intestines. It is also helpful when collecting diagnostic information from sounds produced by the body. 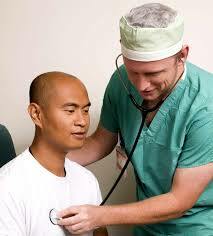 This kind of medicinal work depends on listening carefully and paying attention to any abnormal sounds or rhythms. The objective, high-ideaphoria individual might find an outlet for auditory aptitudes in the fields of communications or music publishing. If you are objective and high in music aptitudes, you might consider management in the music industry. These are a few creative ways of understanding and using your auditory aptitudes. Do you know if you have the aptitude for music? Take The Highlands Ability Battery today to find out! Posted in Uncategorized	| Comments Off on The Auditory Aptitude Isn’t Just for Musicians! As you probably know by now, aptitudes are innate and there is nothing you can do to acquire one you do not have. But some still wonder about how someone who knows a lot can be “limited” by their aptitudes. Career test publishers and administrators recognize that knowledge has an effect on aptitude use and take this relationship into account through the measurement of vocabulary. Because test publishers have access to huge amounts of statistical data, they have been able to find that a large vocabulary is usually present in a successful professional of any field. That is, across all career fields, the most successful test-takers have a large English vocabulary. Let’s look at how vocabulary is measured, how it affects our aptitudes, and, most importantly, what you can do to take the greatest advantage of your aptitudes through vocabulary. “We have many different vocabulary tests, at all levels of difficulty. We convert raw scores on these tests to a vocabulary scale, covering all the tests. This vocabulary scale, which runs from 40 to 225, tells us your vocabulary level; your percentile score, in the next column, tells us how this level compares to that of other people we have tested of the same age. Our testing population is well above average in vocabulary compared to the general population. Your percentile score could be considerably higher if we were to compare you with the entire United States population of your age. Vocabulary keeps increasing with age. 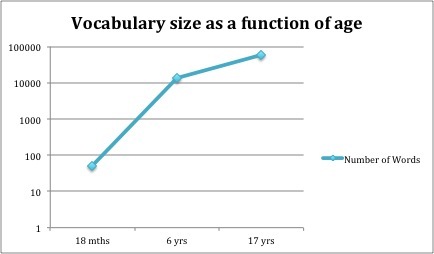 A 30-year-old who is low in vocabulary compared to others in the same age range will still have a higher vocabulary scale score than the highest vocabulary 10-year-old. This is because knowledge builds up throughout life. An important point to keep in mind about your score in vocabulary is that you are only compared with test-takers your age, not by those outside of your age range. Your score will reflect how you rank compared with your peers. The older a person is, generally the more words they know. You are tested within an age bracket and compared to those only in your same age range. A strong vocabulary is an essential tool for gaining knowledge, and your vocabulary level will give you an idea of how far you can go with your aptitudes. A small vocabulary limits the use that you can make of your natural abilities. A large vocabulary does not guarantee success; it simply makes the full use of one’s aptitudes possible. The most obvious advantage of having a good vocabulary is that it helps in school. English vocabulary correlates more highly with school grades than any other test we administer. 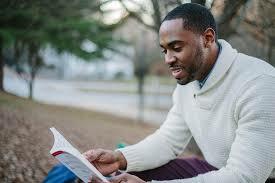 A low-vocabulary student may have difficulty succeeding in school; high-vocabulary students, on the other hand, are more likely to get the best training possible, which impacts the use of their aptitudes. Vocabulary is important in work as well, and not just in verbal fields such as law or journalism. In a work environment, where co-workers tend to have a similar pattern of aptitudes, the ones who go the furthest will normally be those who have the greatest knowledge of their field and the widest vocabulary, which helps them think and express themselves clearly. Thus we have found that presidents of major corporations are among the highest in vocabulary of any group we have tested, even though some of these executives have had little formal education. We emphasize the importance of both a large and a precise vocabulary. A large vocabulary broadens your knowledge of the world. As children learn words like “desk” or “run” or “friend,” they increase the number of things, actions, and ideas they understand. This process never stops, although some people take it much further than others. The high-vocabulary person simply has a wider range of general knowledge. A precise vocabulary generally accompanies a large vocabulary, although the two are distinct. Having a precise vocabulary means that you understand clearly and well the words you use. Thus the child may know both “run” and “walk,” but not be sure of the difference, and as a result may sometimes use the words inaccurately until sure of them. People often think they know a word but in reality have some misunderstanding of it. Thus someone might suppose that something “shabby” has to be “old,” or that something “inexpensive” must be “inferior.” We feel that a large and precise vocabulary indicates a broad, general knowledge, which is valuable for its own sake. Your vocabulary increases as you broaden your knowledge of different subjects. This is particularly true during the years you are in school. But if your vocabulary percentile is low now, the natural increase in vocabulary will not be enough to give you a relatively high vocabulary when you are older. Everyone else your age will be learning more words, too. Your vocabulary scale score will gradually increase, but your percentile will remain the same. To catch up, you must add to this natural growth with active word study. In our experience it is possible for those with low vocabularies to speed up their natural word growth with time and effort. Reading, although helpful, is not a very efficient way of learning new words on its own. To build vocabulary more quickly, you must study and learn words. The words you choose to study will have a great bearing on how successful your efforts will be. You should focus on words that are just barely above your current level of understanding. Words can be arranged in order of difficulty, from the easiest words everyone knows to the extremely difficult. People tend to learn words in this order of difficulty, stopping somewhere along the limits of their knowledge. Word learning, therefore, takes place most easily at this “frontier of knowledge,” as it is called by Johnson O’Connor. In practice, this means concentrating your vocabulary-building efforts on words you have often seen or heard, but whose precise meanings you do not know. Words can be arranged in order of difficulty, from the easiest words everyone knows to the extremely difficult. People tend to learn words in order of difficulty, stopping somewhere along the limits of their knowledge. Word learning, therefore, takes place most easily at this “frontier of knowledge,” as it is called by Johnson O’Connor. In practice, this means concentrating your vocabulary-building efforts on words you have often seen or heard, but whose precise meanings you do not know. In our experience it is possible for those with low vocabularies to speed up their natural word growth with time and effort. Reading, although helpful, is not a very efficient way of learning new words on its own. To build vocabulary more quickly, you must study and learn words. The words you choose to study will have a great bearing on how successful your efforts will be. The words you should study should be just barely above your current level of understanding. Words can be arranged in order of difficulty, from the easiest words everyone knows to the extremely difficult. People tend to learn words in this order of difficulty, stopping somewhere along the limits of their knowledge. Word learning, therefore, takes place most easily at this “frontier of knowledge,” as it is called by Johnson O’Connor. In practice, this means concentrating your vocabulary-building efforts on words you have often seen or heard, but whose precise meanings you do not know. For example, if you are reading an article on ships, you may come across the word “stern.” You are probably familiar with the word in a phrase like, “from stern to stern,” but you may not be clear whether it means the front or the rear of the ship. If so, this word is at your “frontier of knowledge;” if you take a few seconds to look it up it should become firmly fixed in your mind. On the other hand, you might encounter the word “capstan,” which may be totally new to you. If you were to look it up in the dictionary, you might not even understand the definition since the definition might contain words and concepts unknown to you. The solidification of a somewhat familiar word is more likely to stick in your head than a completely new word which has no real relation to other words you already know. All these are ways that you can improve your vocabulary and expand your potential to use your aptitudes well. Rather than thinking of your aptitudes as limiting, think of the ways that you can take advantage of your gifts by improving that which you do have control over. To find out what your current vocabulary score is, we most highly recommend The Highlands Ability Battery. Observation is the aptitude of spotting and remembering details, changes, or irregularities. The test was originally designed to help in the selection of factory inspectors. In any field that involves an inspection function, observation can prove useful. Other industries include claims investigation for insurance companies, detective work, scientific research, and safety engineering inspection. There are some other less obvious careers in which observation is a great boon: in art and museum work, and in gardening and horticulture, where distinguishing between different plants is important. The natural ability to notice details and the need for an organized space are essential to succeed and be happy in these careers. Observation is a driving ability. The experience of noticing things out of place send signals to the brain that can best be equated to “nails on a chalkboard” – the involuntary reaction is a cringe. This is a driving ability because it demands satisfaction. People who for one reason or another ignore this find that they experience unexplained anxiety. Keeping things neat and tidy contributes to their sense of peace and calm. When schedules get busy, the need for quiet in the visual space becomes paramount. People from northern European countries tend to have this ability in greater proportion than other regions. This became evident to The Career Profiler, a career coach and personality profiler, when traveling in South America. That is a region of the world filled with many sights and smells and a relaxed society. Sidewalks are squeezed in between buildings and roads in whatever configuration fits. Paint of every age and shade smears a mural across the buildings lining the road. Dirt and trash are cleaned up when necessary but it is mostly not necessary. In this landscape lives a community of Mennonite Dutch-Germanic peoples. They are known for their pacifistic religious views and industrious nature. In their neighborhoods, streets are wide and straight. Their sidewalks lie an even distance from the road. Grass grows along each side of these walks even though their villages are situated in the Chaco, Paraguay, “the green hell.” The Mennonite hotel is dorm-like, with a plain dining hall. The rooms are bare and spotlessly clean – sterile in comparison to the land in which they live. The rooms are white like the picket fences – a remnant icon of their former homeland in Russia. There too they set up villages that were neat and productive. Even in Russia this stood out in stark contrast to the helter-skelter of the native dwellers in the Ukrainian region of Russia at the time. It’s been centuries since the Paraguayan Mennonite’s ancestors left Holland. What drove these people to such perfection in streets and buildings? What caused them to keep these neat and tidy traditions in light of the more relaxed cultures into which they moved? Something drove them. Sure you could say their cultural protocols did. But, they had long left the culture in which these protocols were formed. They could long ago have adapted at least some of the culture of their new countries. But they didn’t. This demonstrates that their need for visual orderliness is an internal drive. A drive strong enough to maintain orderliness even in cultural mores diametrically opposed to their own. In this cultural example, we can see that the aptitude of orderliness is a powerful thing. Similarly, children with this ability can expect to experience anxiety and even depression. It is an actual need to see or create order in the world. That means that when it is not satisfied, there is a drive from within to find satisfaction for it. That’s why it’s important to know what your aptitudes and driving abilities are so that you can work with them and satisfy them. If you have children, it’s important to know their abilities so that you can accommodate them and help them achieve their greatest potential in those areas. 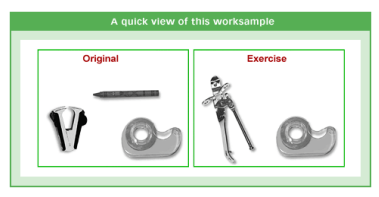 Ready to find out if you have the observation aptitude? We most strongly recommend The Highlands Ability Battery as an aptitude test. It will provide you with much more information than just your observation score. Get to know yourself and make your life better!